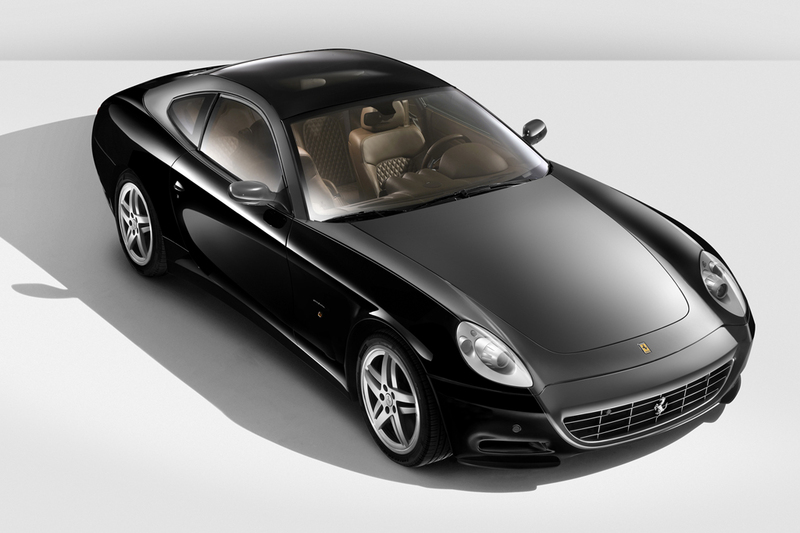 A Ferrari 612 Scaglietti has all the performance expected of an exotic car. It costs plenty, new or used; and new-car buyers had to wait at least a year before taking delivery. So, don’t expect many on the used-car market–and certainly not at modest prices. Still, very few cars are capable of carrying four passengers at a potential top speed of nearly 200 mph. Ferrari also offered an array of custom options, so initial buyers could make this vehicle uniquely their own–at least until they gave up the car to the secondhand market. Mainly, too, don’t forget the elemental prestige of Ferrari’s prancing horse emblem. Unveiled to U.S. enthusiasts at Detroit’s North American International Auto Show in January 2004, the new Ferrari 612 Scaglietti replaced the legendary Italian sports-car maker’s 456M coupe. Lighter in weight but bigger than the 456M, the teardrop-shaped 612 Scaglietti contained a V12 engine. The 612 Scaglietti’s 2004 debut at Detroit commemorated Ferrari’s 50th anniversary in the U.S. market. Named for stylist/coachbuilder Sergio Scaglietti, this four-passenger, two-door coupe served as Ferrari’s flagship car. Ferrari referred to the coupe as a “genuine four-seater,” but many observers would call it a 2+2 layout. Weight distribution was 46/54 (front/seat). Extensive aluminum was used to reduce weight. The 612 used a 540-horsepower 5.75-liter V12 engine that teamed with a six-speed manual transmission. Optional was Ferrari’s F1A sequential manual transmission (SMT), which operated electro-hydraulically and used a small console stick to engage reverse and drive. Shifting was done through steering wheel paddles, but the transmission could be set to shift like an automatic. Ferrari claimed 0-62 mpg acceleration in as little as 4 seconds. Standard safety equipment included antilock braking, traction control, and an antiskid system. The antiskid system had driver-selectable settings to limit its intervention during high-performance driving. Neither front side airbags nor curtain side airbags were available. An optional GTB package included an uprated sport suspension, specific exhaust tuning, and carbon ceramic brakes designed to minimize heat during panic stops. Ferrari offered the 612 Scaglietti in regular and F1 form. Little changed on the 2006 Ferrari 612 Scaglietti. No major changes were evident on the 2007 Ferrari 612 Scaglietti. 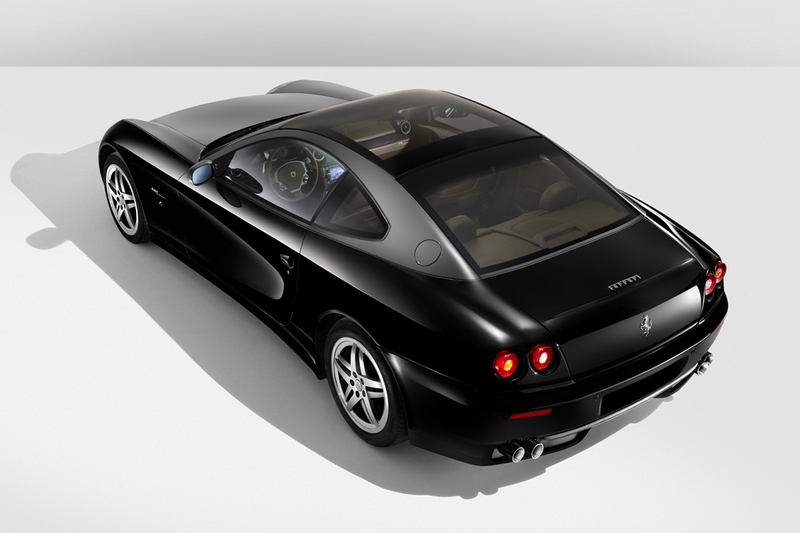 Except for a new Bose Media Center, the Ferrari 612 Scaglietti was largely unchanged for the 2008 model year. The 2009 Ferrari 612 Scaglietti gained some previously optional equipment as standard, and added several new features as well. An electronically adjustable suspension offered Normal and Sport modes. An optional HGTS Package included specific 19-inch wheels, a sport exhaust system, a revised suspension calibration and transmission shift programming. Standard equipment now included a panoramic sunroof with electronically-adjustable tint. Also available: a Bose-brand audio system with satellite radio, iPod connector, wireless cell-phone link, heated front seats, a rearview camera, and front-obstacle detection. All 612s had to be custom-ordered from the factory, and were available with a wide selection of paint and trim choices. Little changed for the Ferrari 612 Scaglietti in 2010, which was its final outing. An electrochromic glass roof could be adjusted to limit the amount of light entering the car. Ferrari’s 5.8-liter V12 engine generated 540 horsepower, teamed with either a six-speed manual gearbox or a six-speed sequential manual transmission (SMT). Acceleration is smooth and strong, with no drop in power delivery at any engine speed. Ferrari’s claim of 0-60 mph acceleration in 4.0 seconds feels about right. This car is amazingly quick for a large, heavy coupe. The SMT provides crisp, responsive shifts in manual mode, but it occasionally slurs gear changes on its fully automatic setting. Consumer Guide has had no opportunity to measure fuel economy, but don’t expect thriftiness with the premium-grade fuel this car requires. The EPA gave it a fuel-economy estimate of 10 mpg in city driving and 15 mpg on the highway with manual shift, or 9/16 mpg with the automated-manual transmission. Being the serious sports car that it is, the ride is just as firm as expected. Sharp bumps induce some jarring, but overall, the ride is not unpleasant given the 612’s sporty suspension tuning and high-performance 19-inch tires. That’s true even with the HTGS Package’s uprated suspension. As expected from a top Ferrari, handling scores near the top of the scale. Despite its size and heft, the 612 lives for tight corners, providing tenacious grip that’s made even more sure-footed thanks to the GTB package’s tighter suspension. Steering is responsive in spirited driving, but slow at low speeds. The GTB package’s massive carbon ceramic brakes erase speed with near-perfect pedal feel. By absolute standards, the 612 Scaglietti cannot be classified as a “quiet” car. However, its engine and exhaust notes are an absolute joy to the ears, making mechanical sounds that other automakers can only dream of reproducing. Wind and road noises are surprisingly well-suppressed. The standard leather upholstery, door panels, and headliner could be matched to any color a buyer desires. Trim pieces might be made of real wood or carbon fiber. The quality of the materials and the way they are put together are second to none. Minor complaints include small radio buttons with indistinct markings and a speedometer that can be tough to read at a glance. Kudos to Ferrari, however, for avoiding a complicated user interface for climate and audio controls. Front occupants get plenty of room on seats that are all-day comfortable. Drivers of most any size should have no trouble fitting inside, but the very tall may find headroom in short supply. Visibility is generally good, but the high rear deck partially obscures the view straight back. Medium-size adults can fit in the rear as long as the front seats aren’t set too far back. Head and leg room are merely adequate, but passengers of even moderate girth may find the seat uncomfortable, due to its prominent side bolsters. Entry and exit are helped by a power front passenger seat, but the low roofline requires crouching to fully reach the rear compartment. 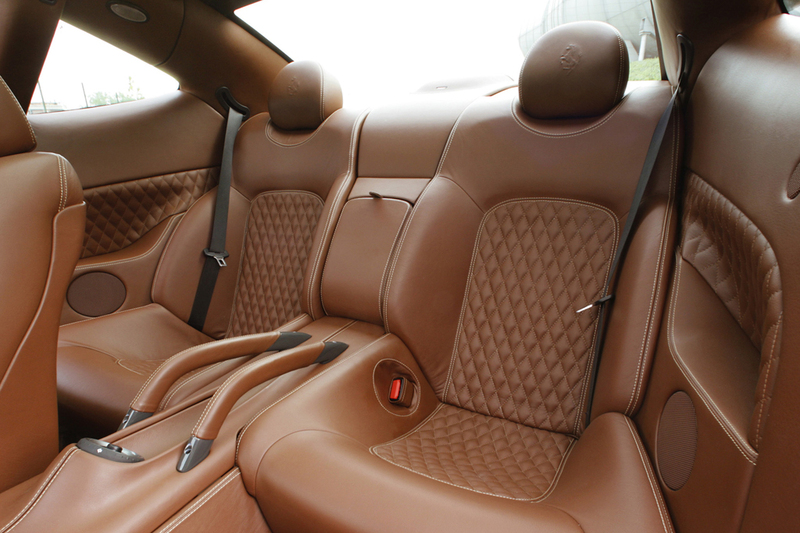 Not much storage space exists in the trunk, given the 612’s exterior size. Width is sufficient side-to-side, but it’s quite shallow front-to-back. A pair of golf bags will fit, but without any other room to spare. Interior storage is limited to a small glovebox and center console. Includes carbon ceramic brakes, specific exhaust tuning, uprated sport suspension. Includes sport transmission software, painted brake calipers, specific exhaust tuning, uprated sport suspension, sport tires, 19-inch modular alloy wheels.